Vitamin D utilized as 25(OH)D i.e. 25-hydroxycholecalciferol (Calcidiol) and more than 30 ng/ml is required for normal functioning of body and is produced endogenously when ultraviolet rays from sunlight strike the skin which triggers its synthesis and gets released into the blood for various actions. 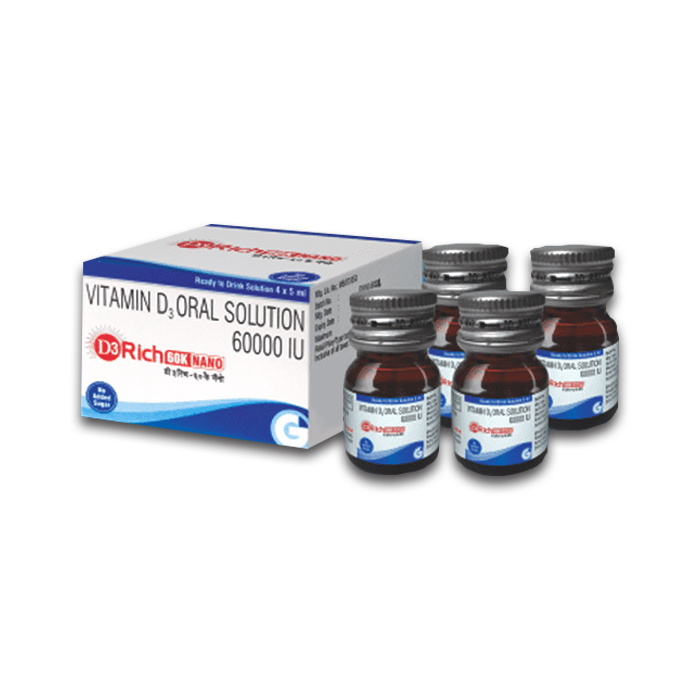 D3 Rich offers dosage wise increment of Vitamin D levels in blood. Nano D3 60000 IU Drops is vital for the body and supplementation becomes necessary if it is not produced in adequate quantities by natural means.